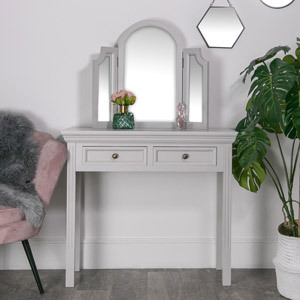 This stylish dressing table with tabletop mirror comes from our popular Daventry Taupe-Grey Range. 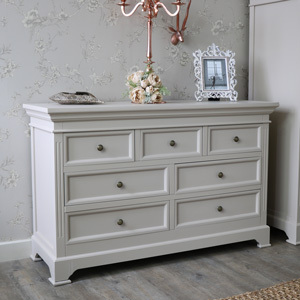 Perfect for a bedroom with a rustic or contemporary feel. 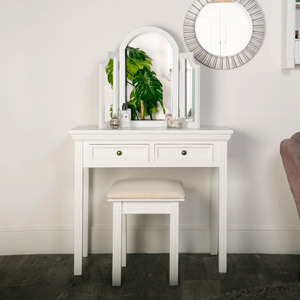 Featuring 2 drawer storage on the table and a 3-way tabletop vanity mirror. 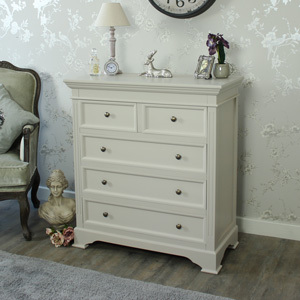 The neutral taupe-grey colouring will fit in with most colour schemes. 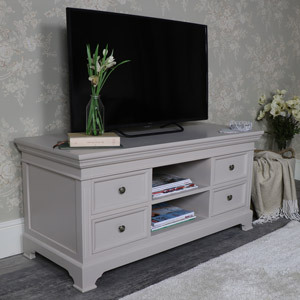 We have a great choice in matching furniture in the Daventry Taupe-Grey Range. 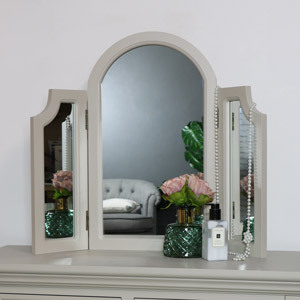 Clasic Georgian style that will fit in with a modern or traditional style interior. 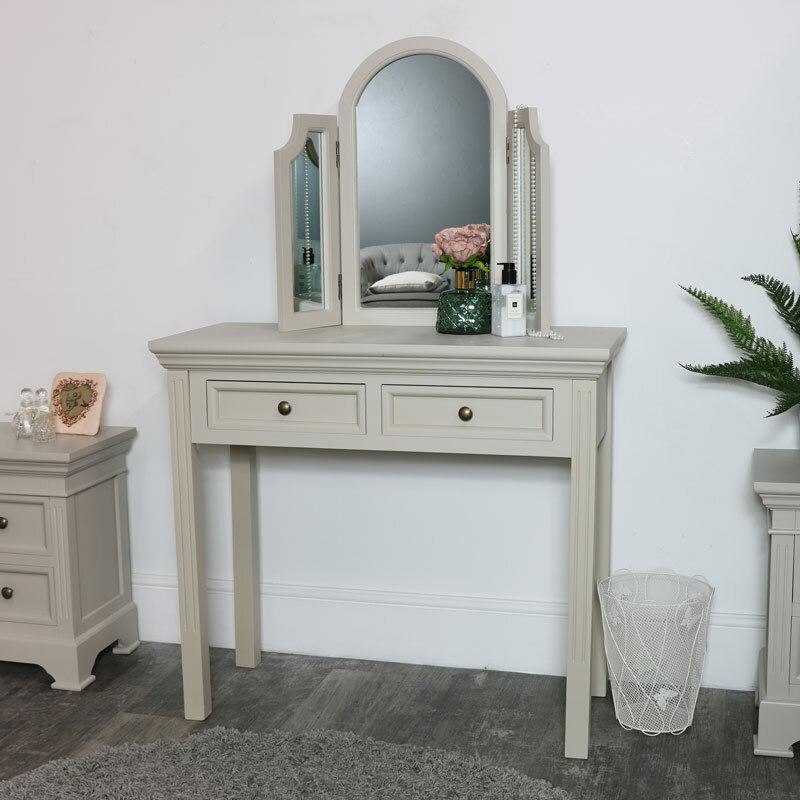 This stylish dressing table with tabletop mirror comes from our popular Daventry Taupe-Grey Range. 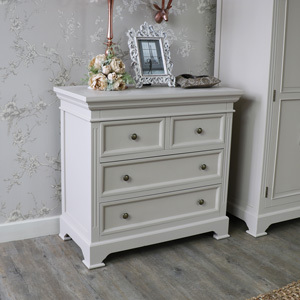 Perfect for a bedroom with a rustic or contemporary feel. 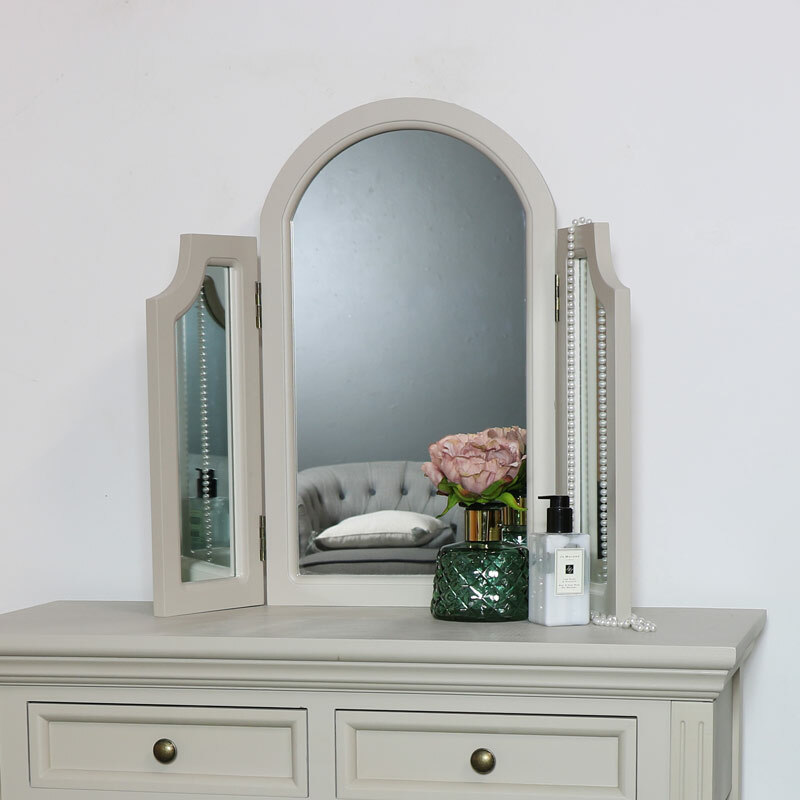 Featuring 2 drawer storage on the table and a 3-way tabletop vanity mirror. 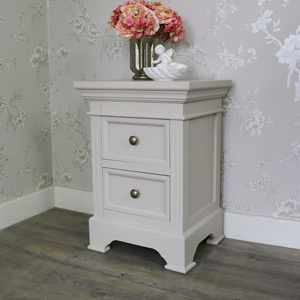 The neutral taupe-grey colouring will fit in with most colour schemes. 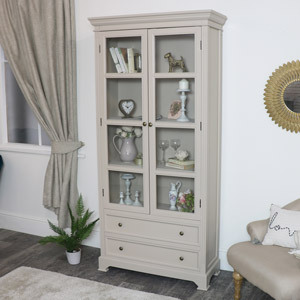 We have a great choice in matching furniture in the Daventry Taupe-Grey Range. 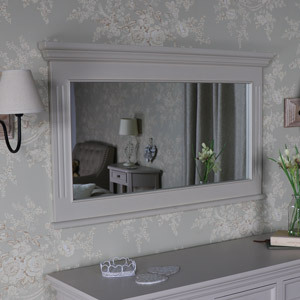 Clasic Georgian style that will fit in with a modern or traditional style interior. 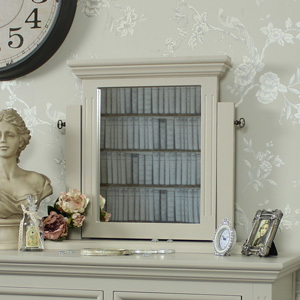 Made from wood in a taupe-grey colour. 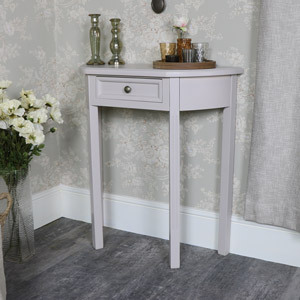 The table measures 91cm x 81cm x 41cm (Width x Height x Depth) and the drawers each measuring 31cm x 78cm x 27.6cm (Width x Height x Depth). 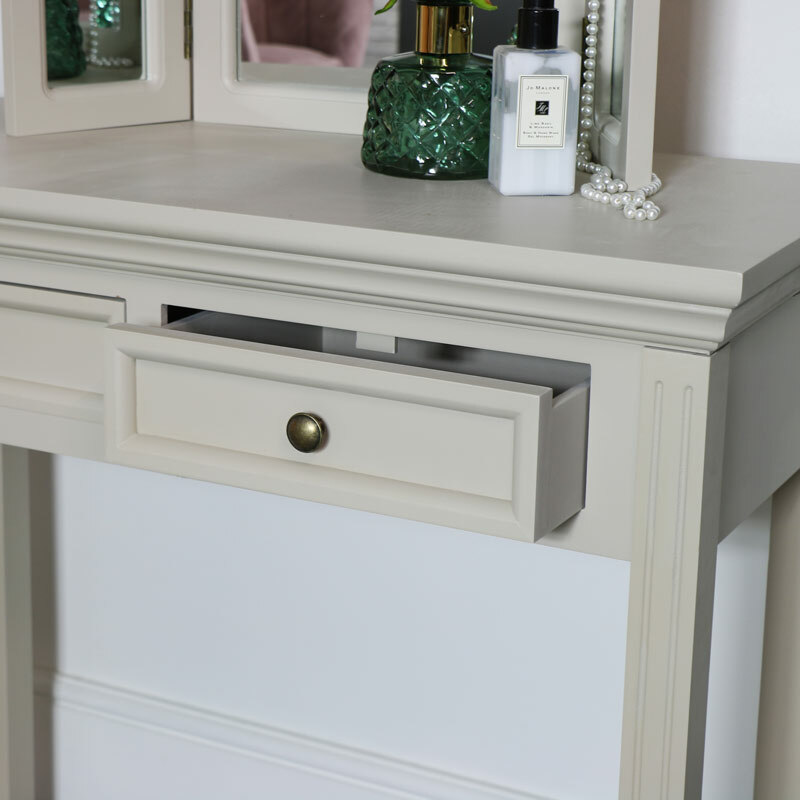 The table does require some assembly but this is quick and easy to do with just the legs to attach and you’re ready to go (fixings included). 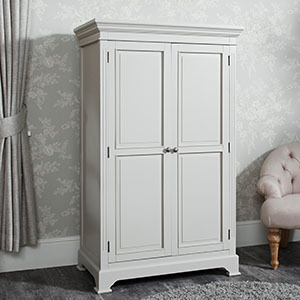 We have a great selection of furniture with full ranges for you to choose from.